The NVIDIA GeForce GTX 670MX is a high-end DirectX 11-compatible graphics card for laptops. 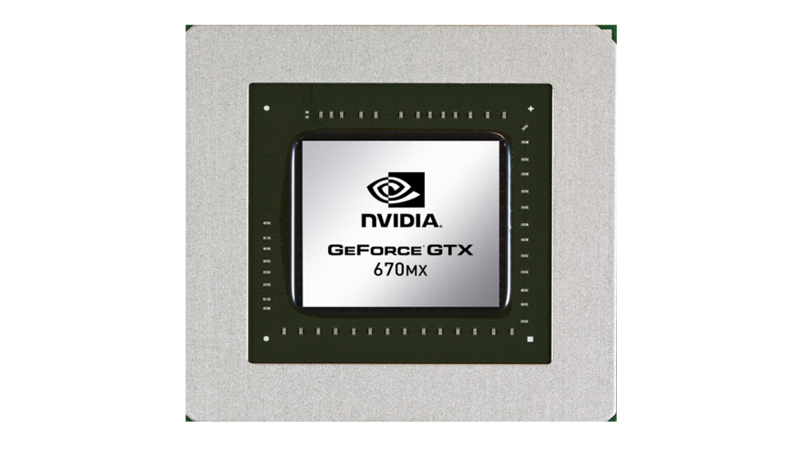 As opposed to the Fermi-based GTX 670M, the 670MX uses a newer 28nm GK106 core based on the Kepler architecture, similar in structure to the GTX 675MX and 680M. Compared to the slightly faster GTX 675MX, the 670MX offers a narrower memory bandwidth of 67.2 GB/s (vs. 115.2 GB/s of the 675MX) due to both slower memory modules and a smaller 192-bit bus width. The Kepler architecture is the successor to the Fermi architecture that first appeared in laptops with the GeForce 400M series. The GK106 Kepler core offers five shader blocks, called SMX, that are clocked at the same speed as the central core. In the GTX 670MX, all five blocks are active for a total of 960 CUDA cores. Although the Kepler architecture can utilize more shader cores than a Fermi chip, its shaders can be up to twice as power efficient. However, due to the missing hot clock of the shader domain, two shaders of a Kepler chip are of similar speed to one shader of a Fermi chip (as the latter is clocked twice as fast). The graphics performance of the GeForce GTX 670MX is clearly above the older GTX 670M and therefore in the high-end class of mobile graphics cards of 2012. Only the extremely demanding title The Witcher 2 may not run fluently in ultra settings. Battlefield 3, Skyrim, and Crysis 2, for example, are playable at the highest detail settings. The power consumption of the GeForce GTX 670MX should be similar to the GTX 670M and is therefore best suited for large notebooks (17-inches or greater) and desktop replacements.